Save on Amazon Echo speakers ahead of Valentine's Day | What Hi-Fi? 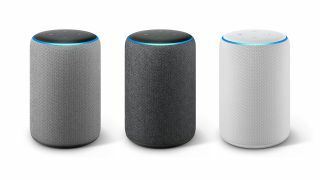 Amazon is currently offering savings across several of its Alexa-powered smart Echo and Fire devices, so if you're looking for a last-minute Valentine's present (now that the Super Bowl is done and dusted) you may want to head over to Amazon.com. The Echo (2nd gen) is now only $69.99, down from $99.99, matching the price it was discounted to over the holidays. The Echo Show has dropped from $229.99 to $179.99, while the smaller Spot is $99.99 after receiving a $30 discount. The Fire TV Cube is now $79.99 (usually $119.99), too. These are all 'limited time' deals running until Valentine's Day.